We've been in ´Portsmouth for a couple of days of very active time, getting the ship prepared for further time at sea and giving the crew time well deserved ashore. After leaving Torquay, we had a lovely sail downwind along the very dramatic coast, entering the Solent well after dark. We had reefed to slow down so that we'd hit the current right, and then we came to anchor at about 3 a.m., staying there until 6:30 to come in with a favorable current. Portsmouth has been a fun place to stop, with a very good reception and plenty of time to visit the VICTORY and MARY ROSE. I went to the MARY ROSE exhibit, which is difficult to see of course because the shp is still being sprayed extensively with polyethylene glycol, with my friend Anders Ahlgren, an engineer in the VASA museum in Stockholm. We talked a long while about the chemical and structral problems the VASA has had, and how the MARY ROSE has benefitted from the VASA's experience. There are many such people in this ship, with very interesting backgrounds and experiences. The Danes have a tremendous consensus approach to doing things, to the point that a herd of people walking around town will wait until everyone agrees on which pub to go to before going in. If one person says the music is too loud, all will keep walking to another one, then survey the group to see whether this one will work. This approach is very interesting, but it can be frustrating when you're on board, I guess because I'm used to a different way. On the management of the sail, the midship watch has 16 people, all of whom are in on the work no matter what time of day we reef or set sail. There's not very much order in how this works -- everybody just gets up and grabs a line to get things going. We have four brailing lines on the sail, plus two clew brails. That's six people, minimum, for that task. Someone has to be in charge of the midsheet and the 'priors,' and then everyone else goes to the foot of the sail to make off the reef lines. There are heavy reef nettles in the corners of the sail and in the center, and two lighter ones on the quarters. People just go in wherever they can, and i certainly can be chaotic. I think there should be better assignments on these things, becase in the dark, under stress, after days at sea, that kind of order can make things go a great deal easier. After you've spent time on racing yachts, it can be a little disconcerting to see this kind of casual approach. I've talked about it a bit with people in my watch, but I've been reluctant to get too involved. As I mentioned to someone last night, when I complete this voyage, I'll be gone and off to somthing else, but these people have a longterm commitment to the ship and to the crew, and also to the institution. At the same time, the Danes are very encouraging of new ideas and of discussion -- they like to have thoughts out there and hash them out with each other. I guess one discovery I hvae made is that it really isn't possible to do a voyage like this as a semi+detached observer; I really have to be a participant in the fullest. I think this role is unique in the media relations the ship has had, and I'm very grateful to the ship and the crew for having me along. Quite a little society has developed among the crew, and no doubt there are a great many longterm frendships to come out of it. So tomorrow we leave Portsmouth, with what promises to be a fair wind and a favorable current. We're one third through the voyage in terms of miles and in terms of time, so I suppose that means we're right on schedule. In this next segment, we´'ll see a long passage, probably making time for Ramsgate or Lowestoft, and I can see how eager the Danes are to be back in their home waters. The long passage across the North Sea will be the climax of the trip, it's clear. We'll have about five days of sailing, and by that time the effciencies of the crew should all have settled down. I'll write again as soon as I can. HAVHINGSTEN FRA GLENDALOUGH, a Viking Ship, is sailing from Ireland to Denmark (Simthsonian magazine features the ship on its cover this month), and WoodenBoat's senior editor, Tom Jackson, is aboard for the five-week voyage. He'll be developing a story for WB about the trip, and is sending dispatches when he can. Here's his first, sent on July 8; there'll be regular updates here over the next few weeks. We arrived in England yesterday evening, Tuesday, July 8, from Wicklow, nonstop. We laid up in Torqay, a very touristy area on the Devon coast, which is beautiful to see from sea. We'll be here for all day today, probably setting out for Portsmouth tomorrow morning. This last passage was the most intensive sailing experience I've ever had, two days at sea without cover from the elements, and two very different days would be hard to imagine. We set out of Wicklow in a calm midday start on Monday, searching for the strong southbound current that would take us toward Lands End. We rowed for about two hours, taking half-hour stints at the oars. When the breeze finally came up, we raised full sail, a great relief from rowing. The breeze began to build, and by late afternoon it had reached a consistent 20 knots and came with rain. We put in two reefs, and before long a third, as the wind reached a consistent 30 knots with heavy, confused, and breaking seas. We were sailing fairly close hauled, with seas nearly parallel to our course. I don't know what the wave height was; probably on the order of 15'. At 5 p.m., we were all ordered to put on our survival suits, and we kept them on as a precaution until 9 a.m. the next morning. Sailing HAVHINGSTEN is a combination of heavy work followed by long stretches of trying to stay warm and dry as possible. When reefing, the entire midship watch, 16 people, take care of reefing the sail. One person watches the midsheet, two on the "priors" which pull the center of the sail to the mast, and the rest lay out on the sail to make off heavy reefing lines at the corners and three locations along the foot of the sail, and then make up all the small reefing lines. By the time it's over, you're hot and tired. Then you go back to try to find a comfortable place, take the weather, and wait for the next command. We were making probably 10 knots in these heavy wind and sea conditions, the ship just driving, driving through the seas, pounding into the waves forward despite the sharpness of her hull. The rain came hard, which was bad enough, but the worst was that just as you started to feel your eyes close and sleep come on, a boarding sea would come over the rail and leave you miserably wet, with a cold slap in the face. I took, I don't know, eight or ten of these myself, maybe more. After a while, you just don't care anymore, and it doesn't come as a surprise anymore, either. After a while, you just learn how to turn your back to it, and never let your hood come down. An Irish girl next to me took a wave right down her survival suit neck, soaking her head to toe. Her boyfriend got her changed, but it wasn't enough. The watch decided to send her over to the following ship, CABLE ONE, to warm up. She was running a fever by then, but this morning she was back on HAVHINGSTEN, fit and chipper. They are a tough group, these sailors. She was one of three (or maybe four; I've heard different numbers) who were sent over to the following ship for severe seasickness or hyperthermia. About half the crew were very sick; I'm afraid I was one of these, but I could still function well enough to keep myself together. We took a lot of water onboard. With four hand-lever pumps, taking one-half liter per stroke, going pretty much constantly while we were sailing. As one statistic, the guy who is in charge of keeping track of the pumped water told me that we pumped 7.5 tons of water overboard between midnight and 4 a.m. That's more than the ballast weighs. When one fellow, Tajs, opened the bilge pump "room," he looked at me and told me he had never seen that much water in the boat before. It was like looking down at a riverbed, with water sloshing about in a current over the rock in the bilges. Tons of water, just on one watch, and Jens the pump watcher showed me page after page of similar records from the night. I had a chance to ask my watch commander, Preben Rather Sorensen, about this water, and he felt that the ship was handling the conditions very well, and we had enough fit people working the pumps to stay ahead of it. By comparison, he said, the shipbuilders in Roskilde ran tests on her stability before sea trials, in which they pumped 17.5 tons of water into her, enough to float her floorboards off. Then they had 50 men run from side to side, and she showed remarkable reserve stability even then. So he was very condifent in the status of the ship, which just kept running, and running, unbelievable in how fast she goes, how cleanly she handles these waves, flexing and fighting and always coming back for more. I may have felt wet, cold, tired, and seasick, but I never felt unsafe. I understand from Preben that the Danish press has made quite a story out of this incident, somewhat sensationalistically stating that several sailors were "evacuated" and so on. It miffs the leadership a bit, since they think it is not fully understood by the press, and after all that is one reason why the chase boat CABLE ONE is there in the first place. All of the sailors wanted to come back, and will. Readers of the July/August issue of WoodenBoat magazine (No. 203) were directed here to view a sampling of cartoons by Darell McClure. McClure, for those just happening by this site, was a cartoonist of some renown who drew for years for Yachting magazine. We discovered a file of his correspondence and original works--presumably made for WoodenBoat--during a recent office reorganization. One of those cartoons appears in the July/August issue issue, as a caption contest. Several others appear here. In WoodenBoat magazine No. 201, we published an article on the 50' fast daysailer GINGER. The boat, designed by Robert W. Stephens, while evocative of the Sonderboats of the turn of last century, is a thoroughly modern concept--above the water and below. In the magazine, we weren't able to show her underwater profile. Designer Stephens sent over a color rendering after publication, and offered it for the letters section of WB 202. Space constraints prevented its inclusion there at a reasonable size, but we promised you could find it here. Enjoy! Lance Lee, founder of the Apprenticeshop (the peripatetic organization dedicated to the development of people through boatbuilding), has been busy in his retirement. We met for coffee this morning, and then visited the Nobleboro, Maine, boat shop where he and his crew are building a 1/3-scale balancelle--a lateen-rigged western-Mediterranean cargo vessel. This one is a replica of the boat at the center of Joseph Conrad's The Tremolino, and is called TREMOLINO. It will launch in May or June. Watch WoodenBoat's pages for more news of this in the Fall. "If the Mediterranean, the venerable (and sometimes atrociously ill- tempered) nurse of all navigators, was to rock my youth, the providing of the cradle necessary for that operation was entrusted by Fate to the most casual assemblage of irresponsible young men (all, however, older than myself) that, as if drunk with Provencal sunshine, frittered life away in joyous levity on the model of Balzac`s "Histoire des Treize" qualified by a dash of romance DE CAPE ET D`EPEE. "She who was my cradle in those years had been built on the River of Savona by a famous builder of boats, was rigged in Corsica by another good man, and was described on her papers as a `tartane` of sixty tons. In reality, she was a true balancelle, with two short masts raking forward and two curved yards, each as long as her hull; a true child of the Latin lake, with a spread of two enormous sails resembling the pointed wings on a sea-bird`s slender body, and herself, like a bird indeed, skimming rather than sailing the seas. "Her name was the Tremolino. How is this to be translated? The Quiverer? What a name to give the pluckiest little craft that ever dipped her sides in angry foam! I had felt her, it is true, trembling for nights and days together under my feet, but it was with the high-strung tenseness of her faithful courage. In her short, but brilliant, career she has taught me nothing, but she has given me everything. I owe to her the awakened love for the sea that, with the quivering of her swift little body and the humming of the wind under the foot of her lateen sails, stole into my heart with a sort of gentle violence, and brought my imagination under its despotic sway. The Tremolino! To this day I cannot utter or even write that name without a strange tightening of the breast and the gasp of mingled delight and dread of one`s first passionate experience." Have you ever dreamed of an Atlantic crossing—perhaps a high-latitude Atlantic Crossing? If so, have a look at this web site, detailing one couple's experience. The question-and-answer page alone is worth the click. Readers who saw the post below this one will note that Phil Bolger (photo, left) was honored, along with Bill Garden, at last year's WoodenBoat Show. This year, we'll honor a group of designers who pioneered multihull sailing yachts. Before the hoopla begins for that, a glance back is in order. 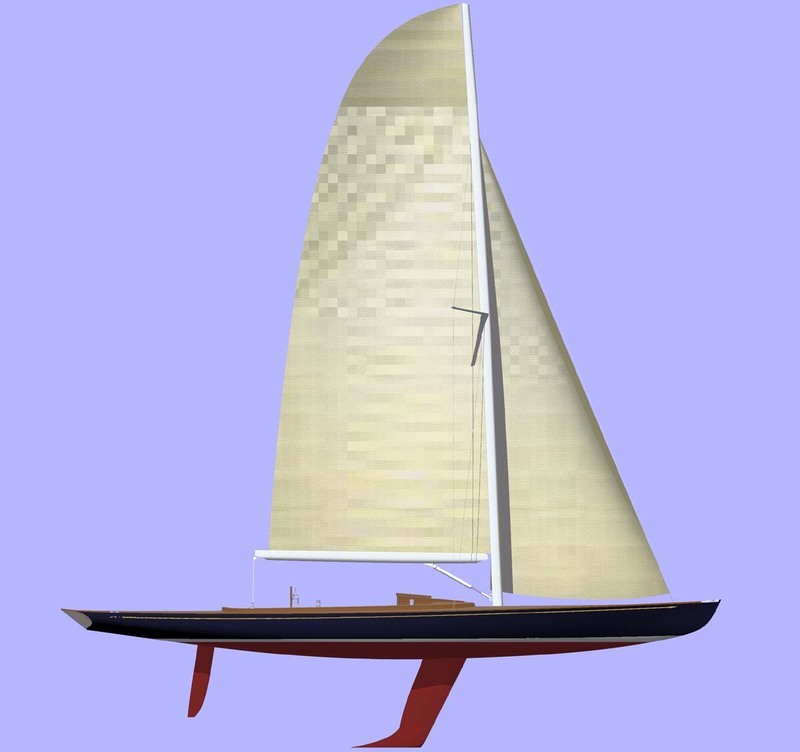 Mike's article was titled "Classical Bolger" because, as any contemporary student of small craft design knows, Phil Bolger's signature style is anything but classical. Simplicity, rather than complexity, is the hallmark here. His boats are typically built of plywood, and are sometimes called "Bolger boxes"—a pejorative term in some circles, but a point of pride for Mr. Bolger and his many fans worldwide. Bolger boats are built in huge numbers, and they perform as advertised. But I digress. The article was called "Classical Bolger" because many newcomers to Phil Bolger's style assume that the box-type boats are all he knows. That's not true. Phil Bolger is, in fact, a prolific designer of wide ranging style. He worked as a draftsman for Lindsay Lord and John Hacker in the 1950s, and was mentored by none other than L. Francis Herreshoff. Since 1952, and the publication of his first design—a 32' sportfisherman—Bolger has designed nearly 700 boats. They range from the ubiquitous Light Dory (WoodenBoat Senior Editor Tom Jackson can be seen rowing his on the January page of Benjamin Mendlowitz's Calendar of Wooden Boats this year) to the famous HMS ROSE (now the HMS SURPRISE, which starred along with Russell Crowe in Master and Commander). Between these extremes are sharpies, outboard skiffs, camp cruisers, motor cruisers, dinghies, daysailers, and more. 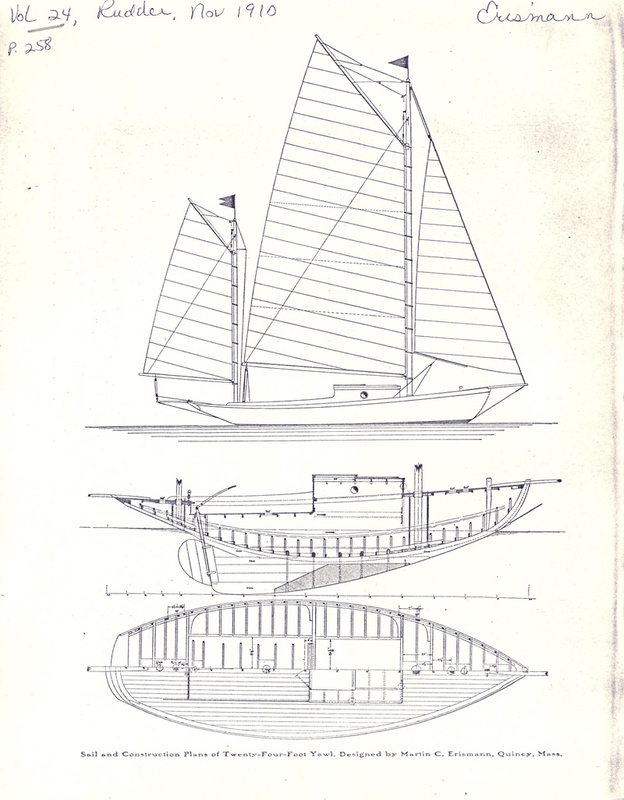 These boats appear in Bolger's numerous books, including the popular Boats with an Open Mind. 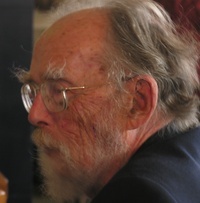 Bolger lives and works in Gloucester, Massachusetts, with his wife Susanne Altenberger, doing business as Phil Bolger and Friends. Ever the innovator, Bolger's current efforts are centered on fuel-efficient recreational and fishing boats, as well as on a large military commission to develop a more effective landing craft. Our kudos to Phil Bolger for his remarkable achievements. In 2007, WoodenBoat publications recognized two iconic yacht designers with Lifetime Achievement Awards. One, Phil Bolger, received his award at the WoodenBoat Show at Mystic Seaport in July. The other, Bill Garden, was unable to travel to the show, as he lives comfortably ensconced among boats, shops, and a studio at a remote island home in British Columbia. “Time is precious to him,” said Ted Pike of the Wooden Boat Foundation in Port Townsend, Washington, “and he doesn’t like to leave the island.” So, an intrepid delegation composed of WoodenBoat president and general manager Jim Miller, yacht designer Sam Devlin, and Pike, set out on a journey to Bill's island home to deliver the award—a half-hull model of BULLFROG, a 30' Garden-designed cutter, carved by Ellsworth Rice. “The adventure,” said Ted Pike, “began with a ferry ride from Port Angeles, Washington, to Victoria, British Columbia. We then drove to Sidney, where we waited for Bill to arrive in his 20' tugboat.” Pike admits that the trio felt a bit uneasy as the boat approached the dock, “because we knew he cherishes his time and we didn’t know how much of it he'd have to give us. Bill landed the boat, demonstrating deft control a the helm. “We boarded,” said Pike, and “without fuss he repositioned the springline so he could reverse around the corner of the dock and off we went to Toad's Landing, as his home is called.” And there the group's tension eased. “Our tour began at his dock where a wonderful 30' runabout of his design was in a covered slip. He quietly showed us design features like the removable transom, special anti-sea-otter devices, and a very clever sliding sunroof. It was classic Garden styling with lots of beautiful curves. We then ascended the path to the house where we were met by Bill's longtime companion, Janie. Her gardens are exquisite; all the beds are bordered by stone that she has cut over the past 30 years. The gardens have a flowing balance to the beds where live-edge-planked seats and hand-hewn railings give you sweet places to sit and enjoy it all. There are stone and wood carved nymphs, angels, and nautical nuances purposefully scattered about. Window boxes explode with flowers as they rest on hand-carved knees. These are two very accomplished artists. “Janie shooed us off so she could get back to work and Bill led us to the first of two large waterfront boat sheds. Each shed has a railway running in to it, and each has an overhead block-and-tackle system to move the boats. Bill's new catboat, TOM CAT, was in the lower shed for winter finishing touches after a busy sailing season. He has various row-and sailboats all getting improvements and maintenance. Bill makes everything he can, from cleats to blocks to artistic trim; yet, with all the special touches, all his boats (sail, row, and motor) are to be used. Bill also has a passion for antique engines (there was an Easthope engine on the floor). He rebuilds and then installs them in his antique launches and motorboats. “On the railway in the upper shop was an old Ray Hunt-designed International 110, freshly painted, and next to it a fiberglass lapstrake whitehall to which Bill had added a plywood sheerstrake (she was “just wasn't right,” as built, said Bill). There were spars overhead and more boats in the loft—all organized. Against the wall was a model-building shelf with a half model of the 60' Garden-design sloop OCEANUS well underway. Bill pointed out how he has included the cabin, as it's part of the whole design. “Before we left the upper shop, we stopped at a small alcove where there were more full- and half-hull models, as well as old pictures of favorite boats and friends and good moments. As we wandered down to the house we stopped and admired Bill's fleet of antique boats in a covered set of slips. There were launches with well-oiled Easthope engines and a famous 30' motorboat, MERLIN, that graced Victoria for years. Bill is currently putting on one of his classic “eyebrows” on the front of the cabin, just to make it look a bit better. Once at the house, were finally able to present Bill with BULL FROG's beautiful half model for lifetime of achievement. After hot tea, fresh fruit, and muffins, it was time to go, and we reluctantly went down to the dock and boarded the tug. Bill's smile and wit and winks had punctuated our day of learning of his passionate, creative, contented life. There is no question that he is young at 90, he will not be slowing down without a fight. Martin Erismann was a Glasgow-trained naval architect who practiced on both the US East and West Coasts. He was sort fo a proto-Howard Chapelle, for he had a major interest in documenting disappearing working craft. Indeed, he built a copy of a Block Island Cowhorn, called ROARING BESSIE, that he sailed for pleasure on Massachusetts Bay. The copy was based on an original orkboat, LENA M, that he had purchased with the intent of restoring, but the boat was too far gone for that. 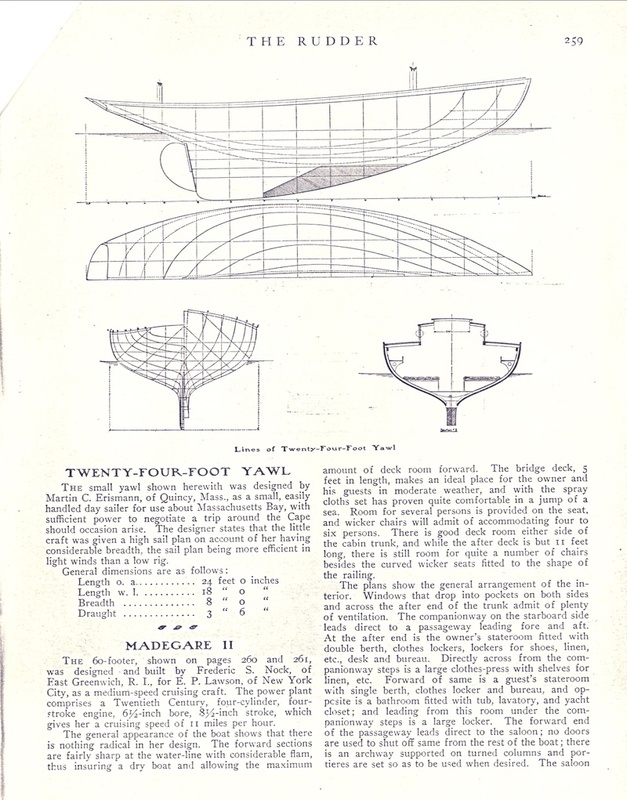 The following pages from The Rudder emerged from the WoodenBoat desginer archives recently during a search of Erismann's file. This captivating little yawl, a 24-footer, would be the perfect vehicle for weekend explorations of Eggemoggin Reach.